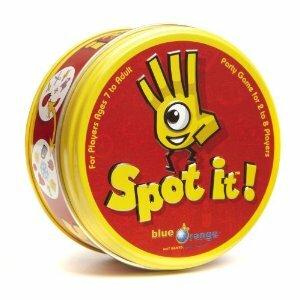 Spot It is a game by Blue Orange Games with a simple concept but is tons of fun to play. Spot It comes in a small, round tin container that contains 55 circular cards with various symbols on each one. 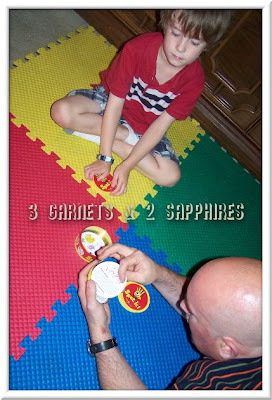 You split the cards evenly between players (minimum of 2, maximum of 8) and lay one face-up inside the tin. There is always one, and only one, matching symbol between any two cards in this game. The object is to spot your match first and place it into the tin until you are out of cards completely. Spot It is fun, original, and portable and would be enjoyable for almost any age of child. It helps teach reasoning skills, paying attention, and matching, along with being entertaining. Because of its small size, Spot It is perfect for keeping kids engaged and entertained in places that are boring or require long waiting periods. Additionally, all games from Blue Orange are eco-friendly because they use durable materials and Blue Orange has committed to planting two trees for each tree used in their game production, thus preserving the environment. 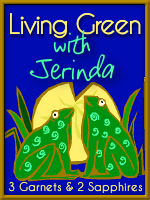 Spot It can be purchased at many major retailers nationwide. Locations and more information are included on their website, www.blueorangegames.com. Spot It retails for about $12.99. Thank you to Blue Orange Games for providing a complimentary product sample for us to base this review upon.